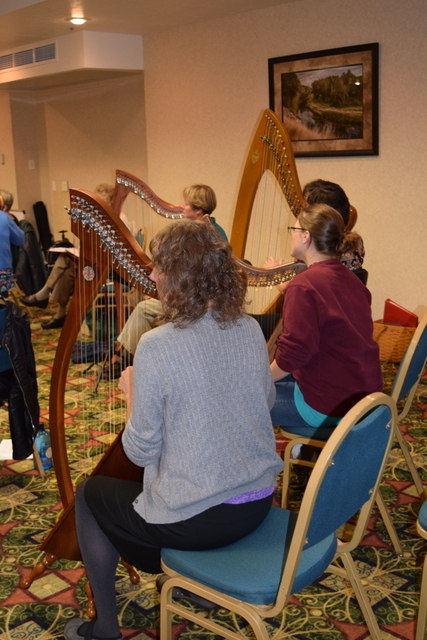 In this workshop, Sunita teaches fun and creative ways to play arpeggios, breaking away from the standard patterns to add variety and interest to your playing. 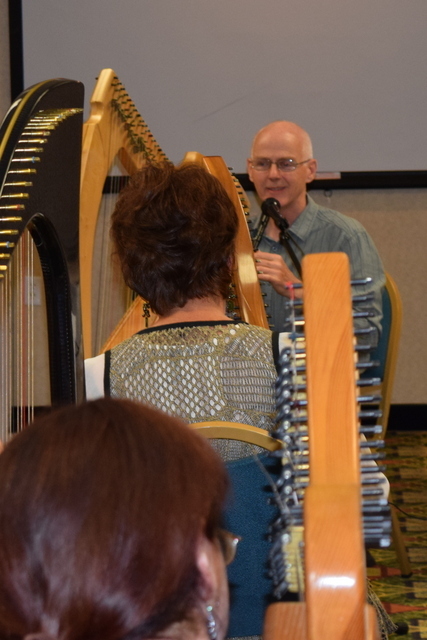 Simplify your left hand and create the illusion of complex harmonies. 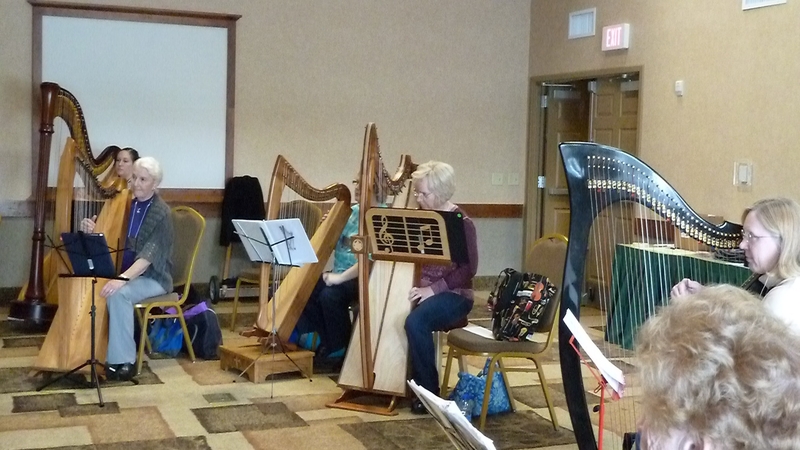 Less is more especially on the harp. 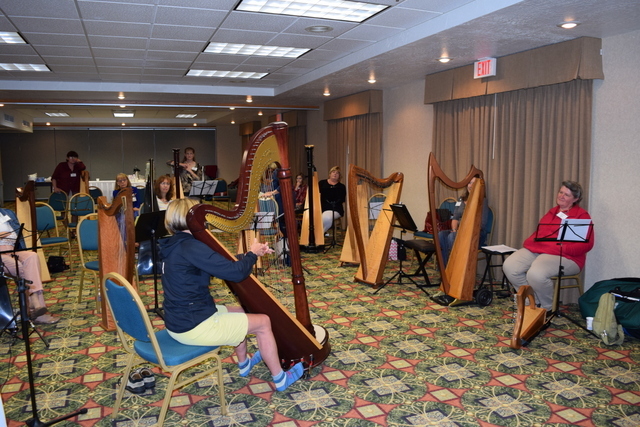 Sunita will show you how to harmonize songs using a simple descending and ascending bass lines. 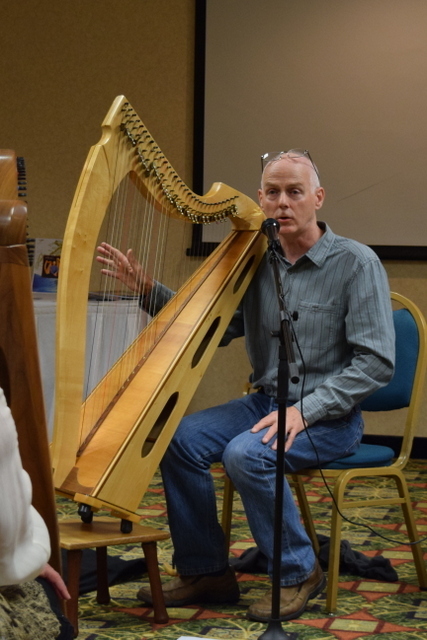 This can become a foolproof way to improvise over your left hand that will sound beautiful even if you are just starting to learn the harp. 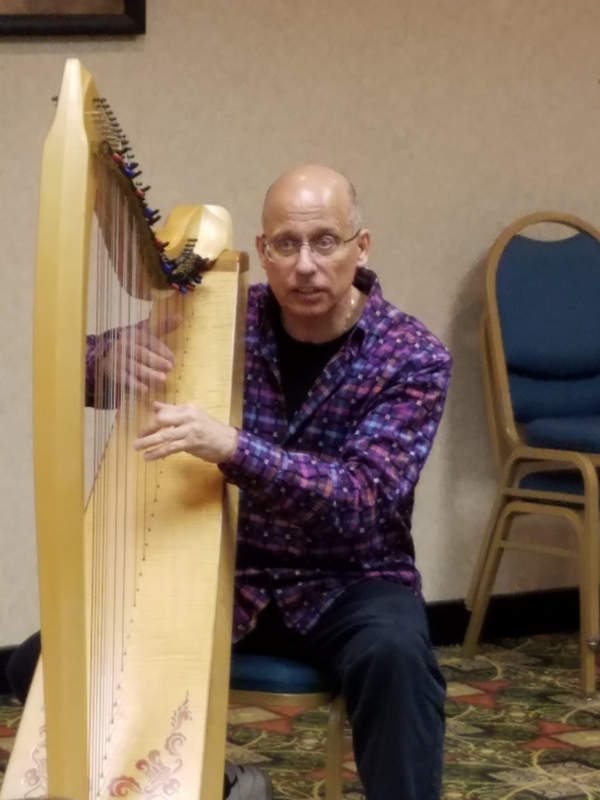 Understanding a simple bass line will pave your way to improvising between songs and is especially useful in therapeutic environments. 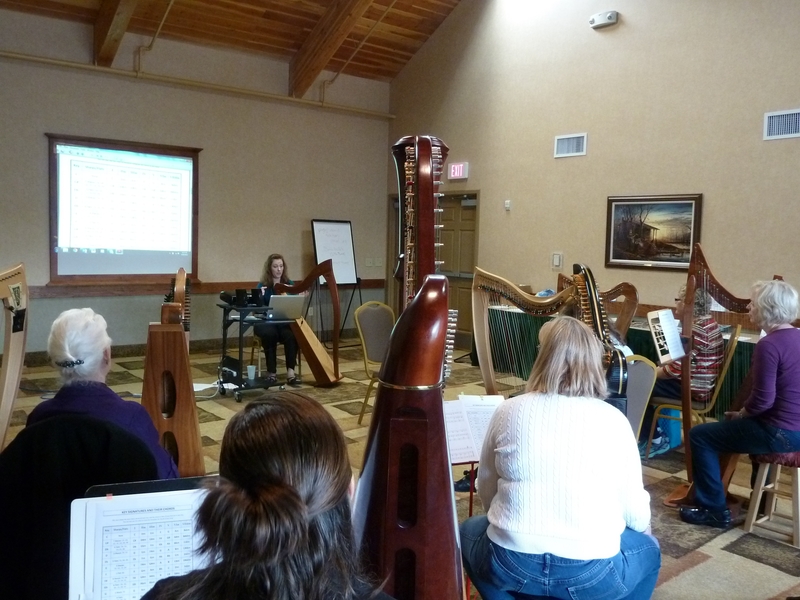 How do professionals put together arrangements? 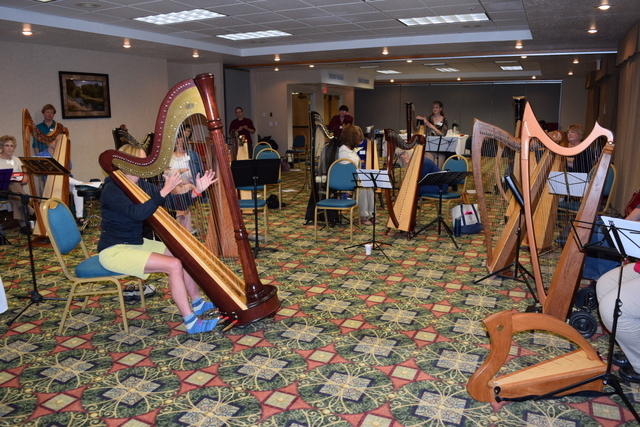 How do you find new music for an unusual ensemble? 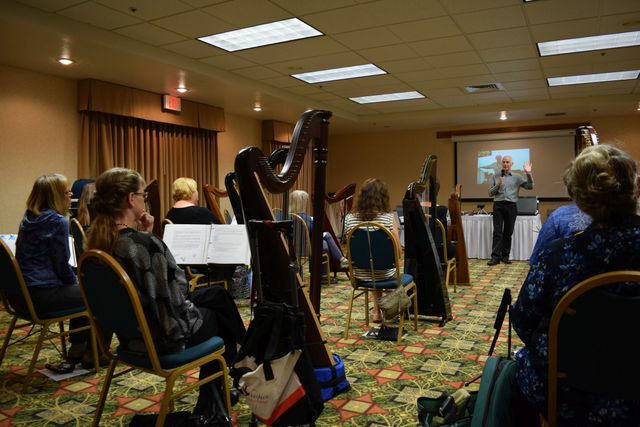 What should you look for in another musician? 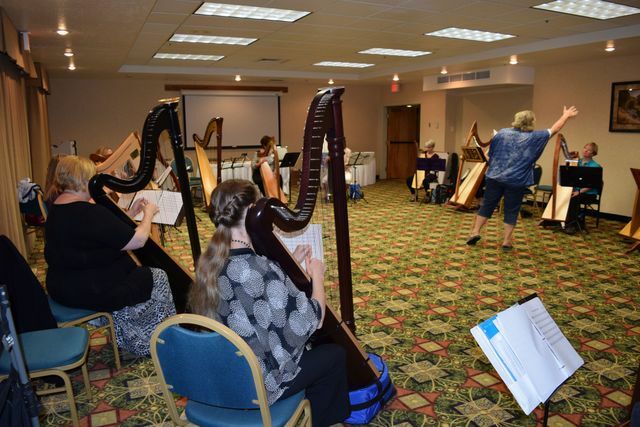 What do others expect from a harp player? 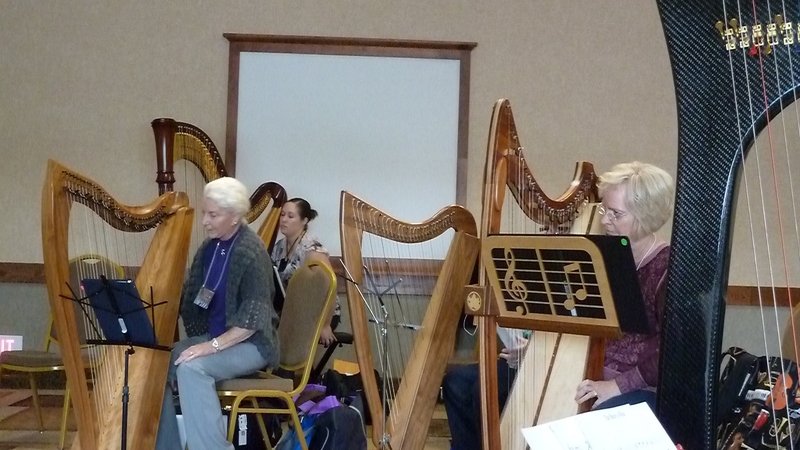 Sunita will offer advice and tips on rehearsing and practicing with different combinations of instruments. 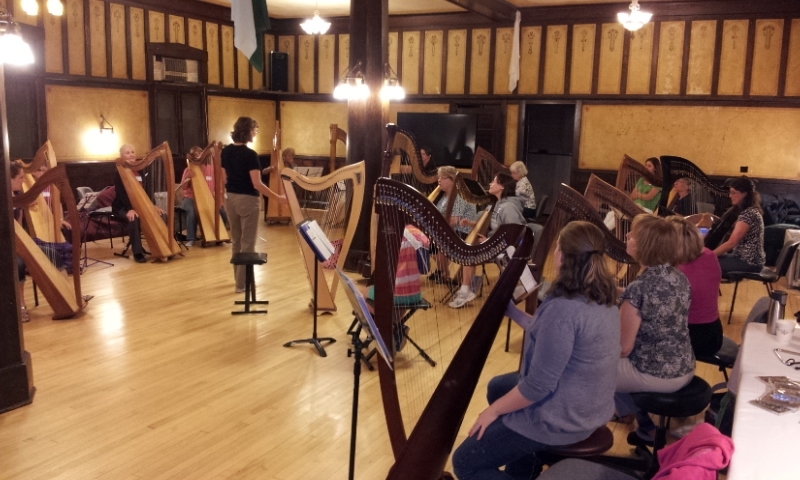 The harp works well with almost any other instrument. 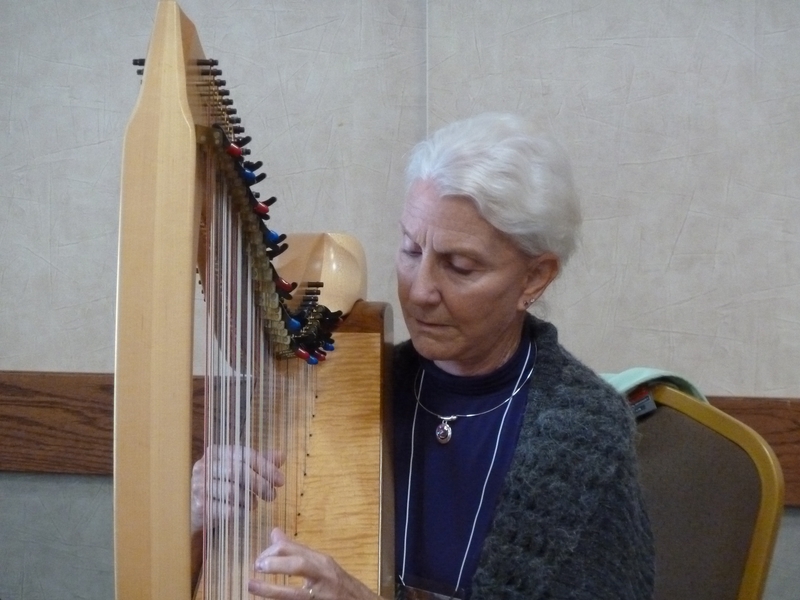 Embolden yourself to create a new sound! 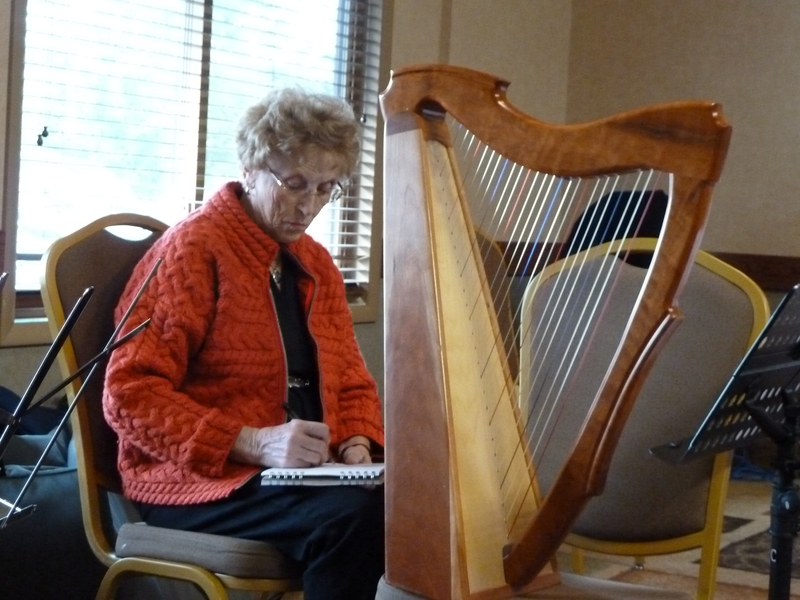 Memorization Ease--Take it by Degrees! 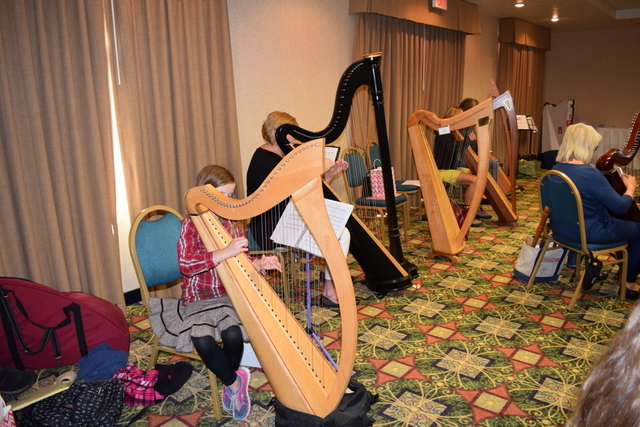 Learning to play by scale degrees rather than by notes simplifies improvisation and makes transposition simple. 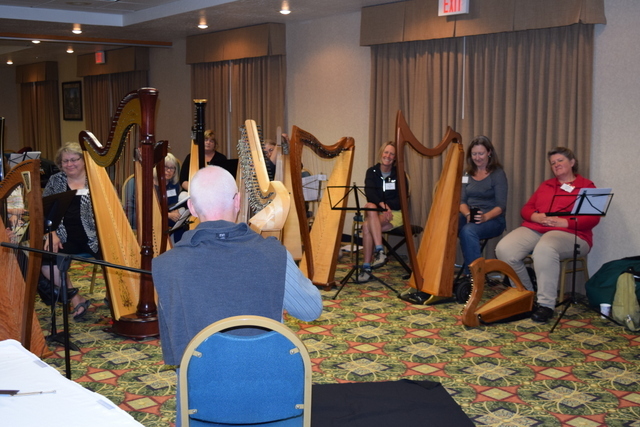 This workshop will demonstrate how. 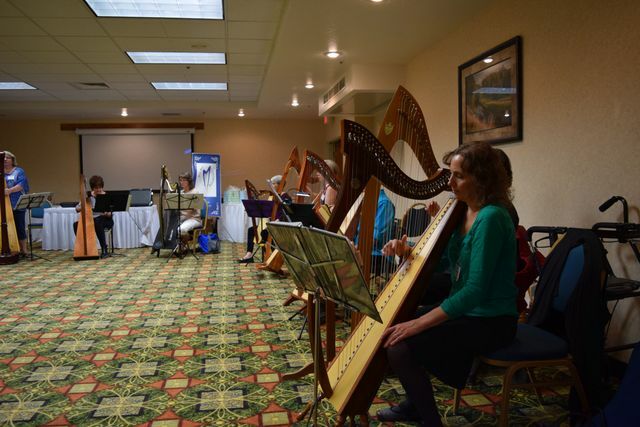 Almost any tune can be played in any style from soothing to energetic. 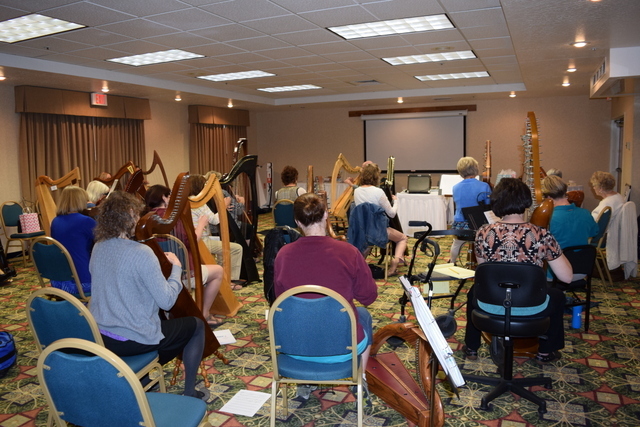 This workshop will take a tune and demonstrate how to change its feel by playing in different styles. 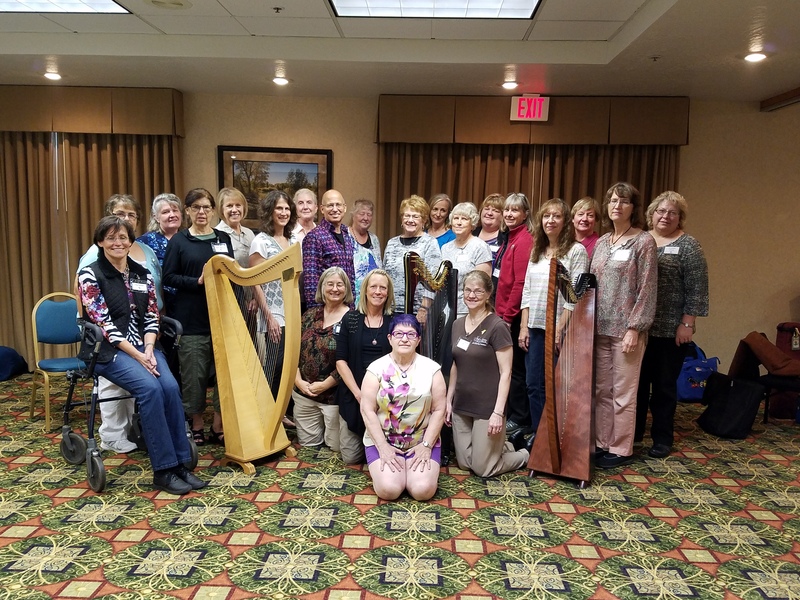 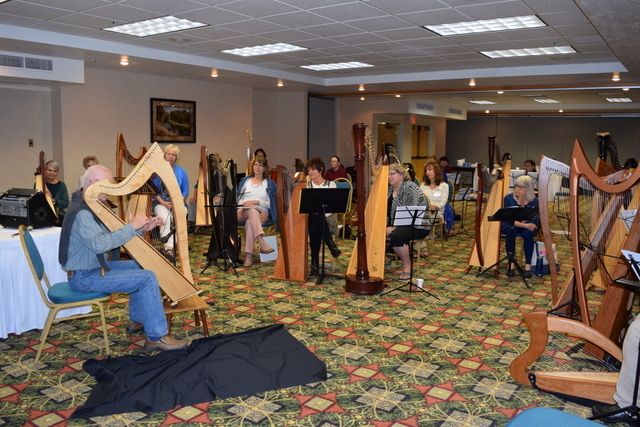 Around 25 harpers and harpists from Montana, Wyoming, Idaho, and Washington convened in Missoula in late September for our 2015 Montana Harp Retreat. 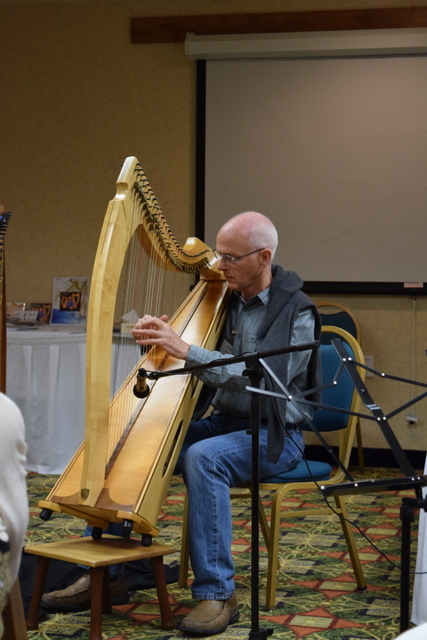 We had an absolutely fantastic time learning about music therapy, Celtic ornamentation, improvisation, and composition, and much more from Scottish harper William (Billy) Jackson, making connections, renewing friendships, playing new and old songs together, and talking everything harp. 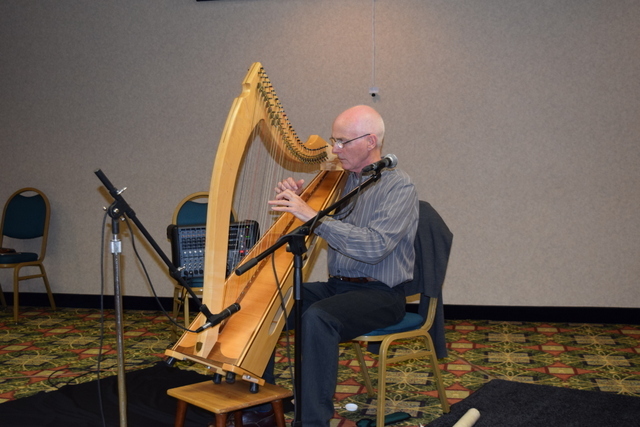 It was refreshment for the soul! 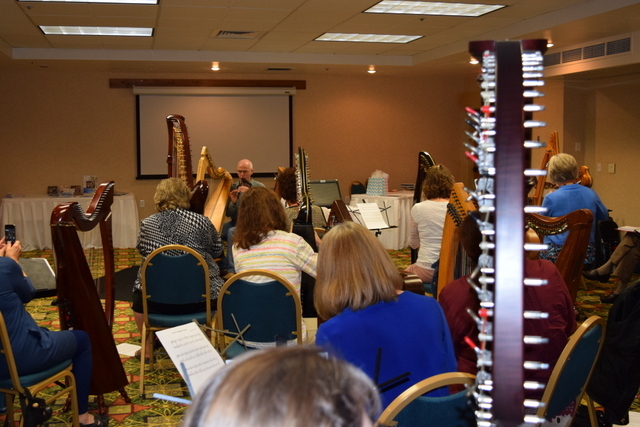 Thanks to all of you who came, and be sure to check for updates on future retreats and nearby events! 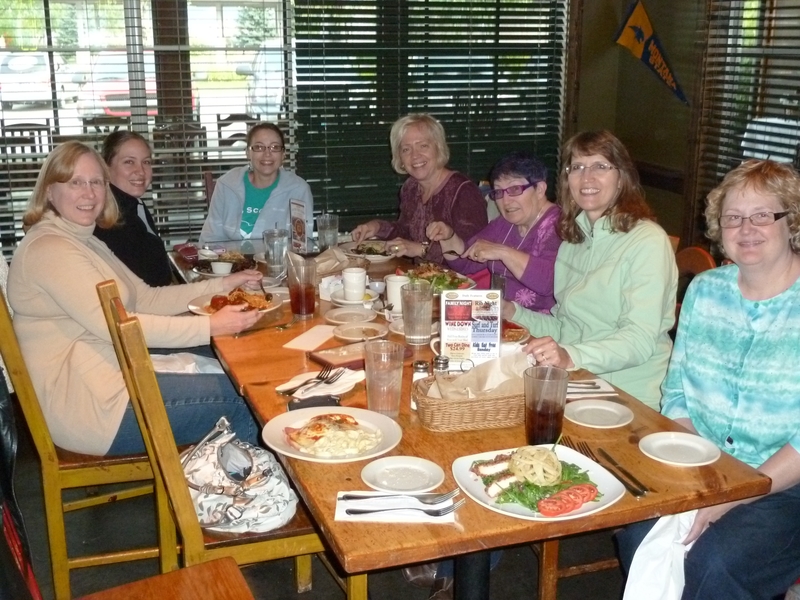 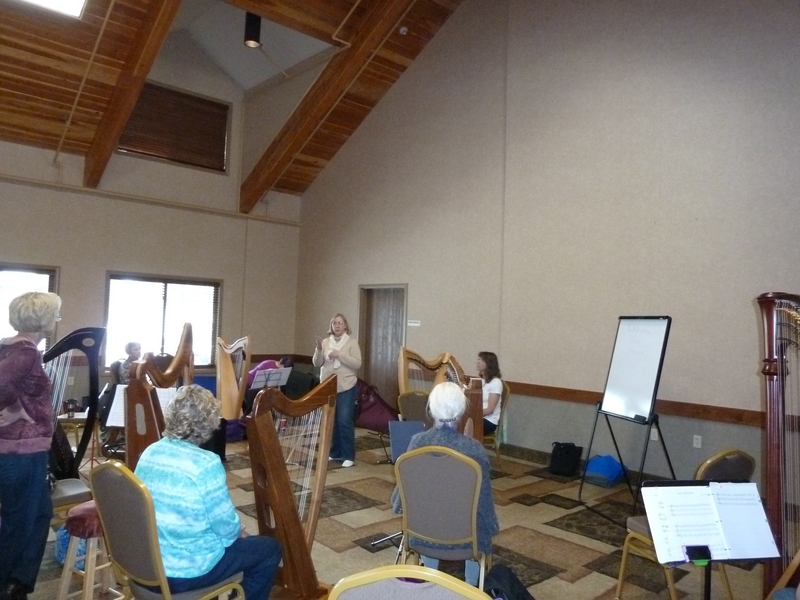 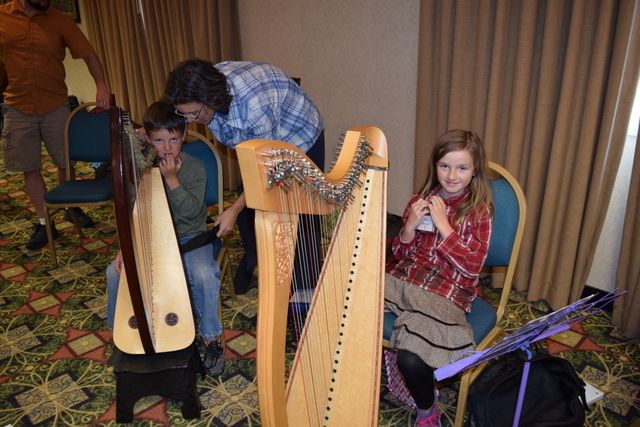 The Big Sky Harp Society held their second retreat in September at the lodge-style C'mon Inn in Bozeman, MT. 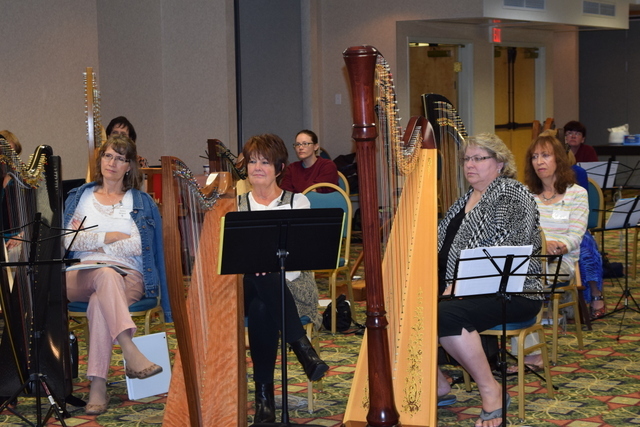 The small size of the group provided a perfect atmosphere of intimacy in which to encourage new harpers and challenge more experienced harpists. 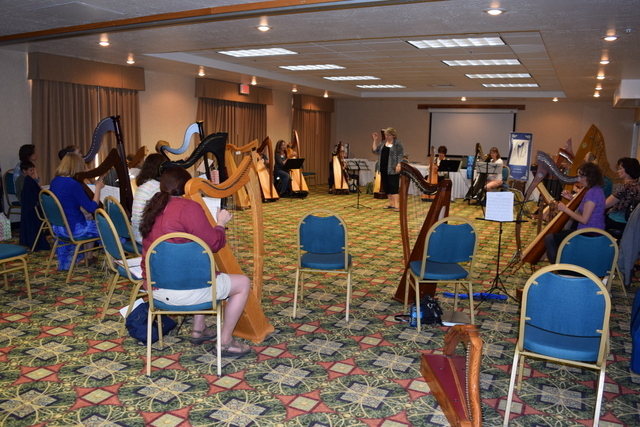 The entire group participated in a Skype session with Marta Cook focusing on playing musically. 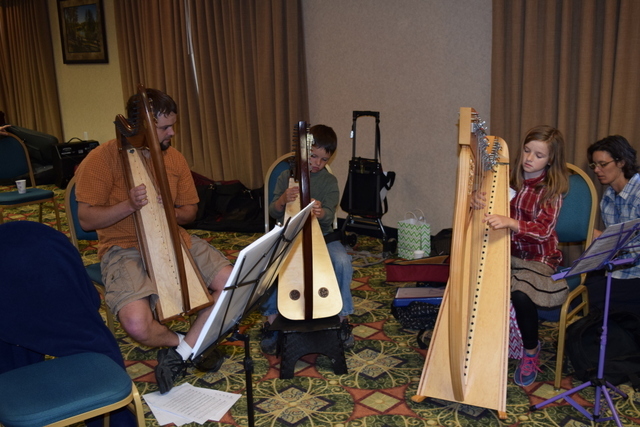 A lullaby provided a perfect example, teaching harpers to consider where the phrasing of the tune leads listeners. 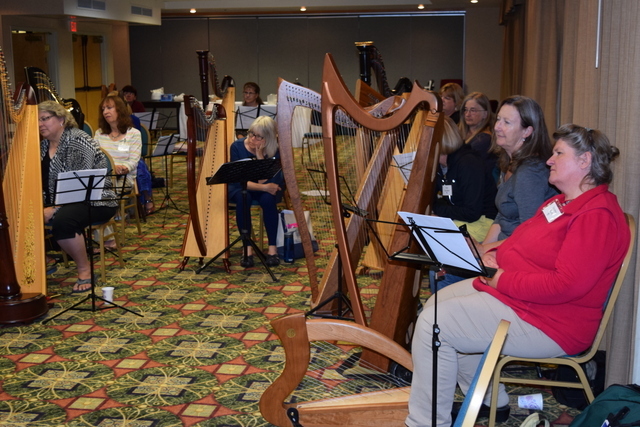 Two members shared their experiences in playing as Hospice volunteers, Laura Welker gave a workshop that completely demystified improvisation, and Angela Espinosa taught stress-free string changing and knot tying with many laughs. 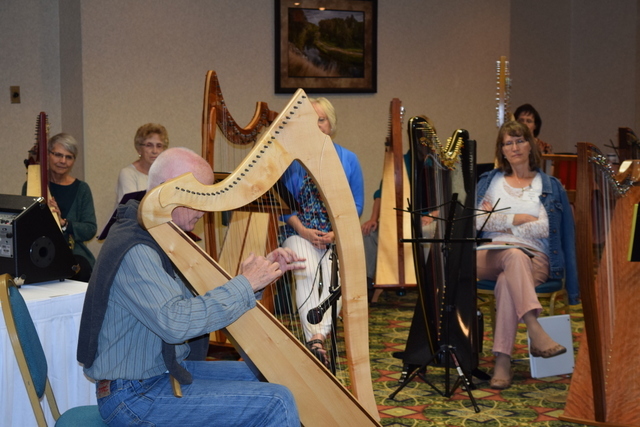 As part of the Big Sky Harp Society's' mission to encourage interest in the harp and to encourage harpists to share their music with others, the entire group enjoyed offering a free public concert on September 28th where harpists performed solo pieces and played several tunes together. 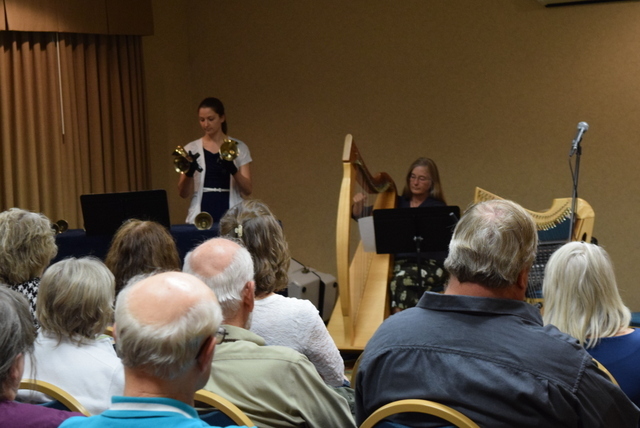 The audience was, as always, appreciative and usually stayed afterward to ask questions about the instruments (which varied from small lap harps to pedal harps). 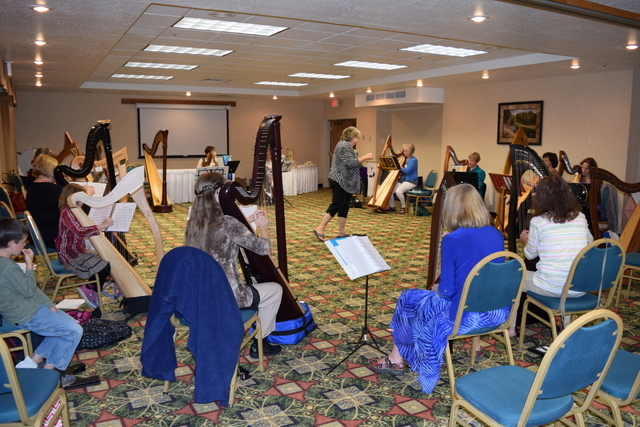 The Big Sky Harp Society started with a weekend to remember! 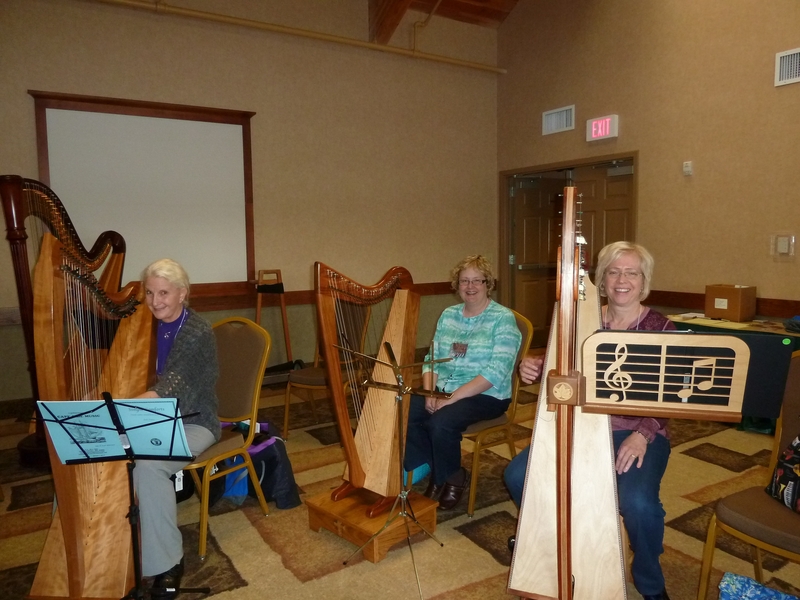 The photos below speak of the joy and fun we had getting to know and playing with each other.